It is always a good idea to compress the text content being served to your web site visitors. Not compressing content wastes bandwidth and slows down your visitors experience to your web site. All modern browsers currently support compression, and you can configure it within your Apache server config file, or through an .htaccess file for a specific application. This will significantly speed up the transfer time of all requested text based files making your web site load faster. 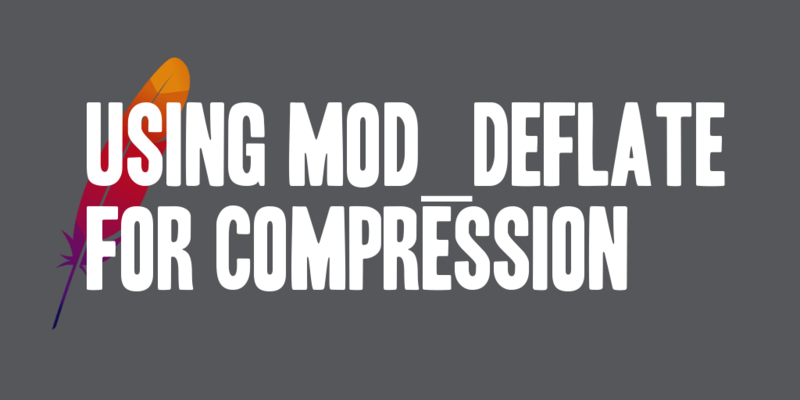 First, you need to ensure that you’re loading the mod_deflate module that ships with Apache. It is generally loaded by default on most installations; however, I have encountered it not being loaded, and needed to modify the LoadModule directive. Second, you’ll need to configure the mod_deflate settings. I generally include this in an .htaccess file if I don’t have access to the actual server config. This is one I always try to configure on the actual httpd.conf file, as it is considered a requirement by myself for all of my projects; however, in a hosted environment you may or may not have access to that file. So for such a reason, I have included it as though I’m putting it into my .htaccess file. The following example will compress all content except images (or more specifically except those with the named extensions).